Thanks for braving the dark of night and getting that. I went to bed early so missed on posting my shot. I had pics I took yesterday am but since I posted the day before I waited to see if someone else could post which Jim did---great pic in not much light. 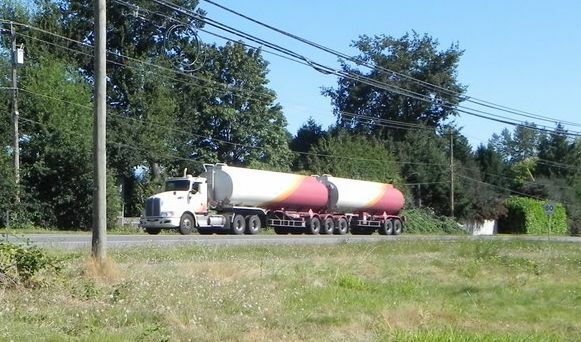 Sunday August 14, a Flying J KW T660 B-train fuel tanker heads north on HWY 15 thru Aldergrove. Looks like it might be an ex Flying J, no actual name. 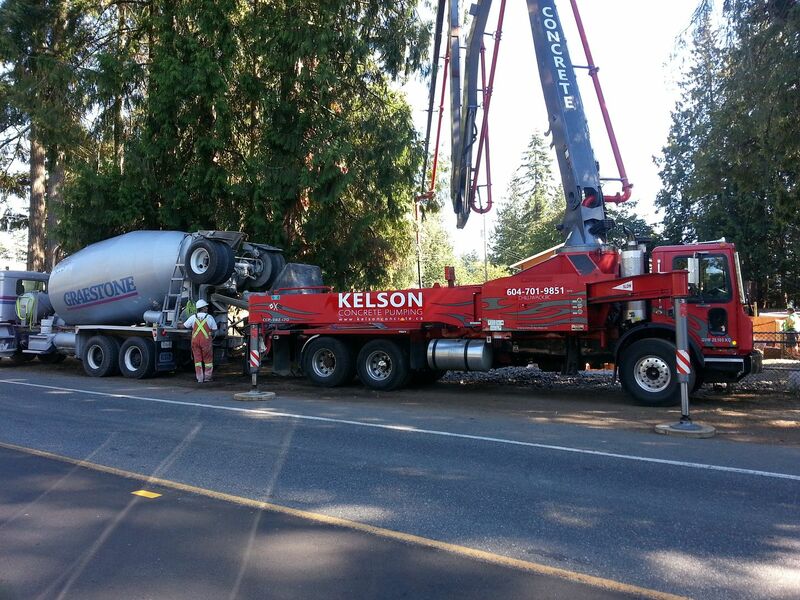 16th of Aug, a Graestone Concrete Western Star mixer feeds an MC Mack pumper as they are pouring a basement/foundation in the neighborhood. 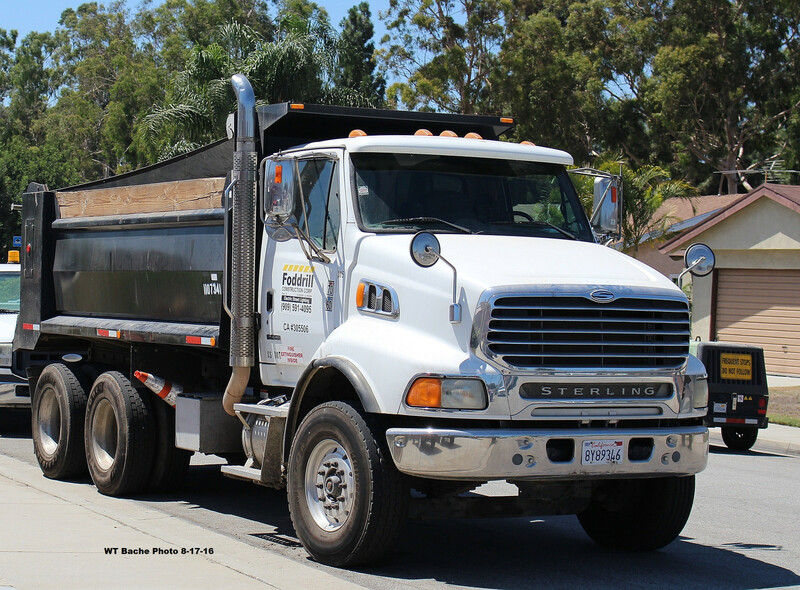 8-17-16 Foddrill Construction Co--Sterling dump truck parked on my street where they are replacing the street lights including replacing the existing steel poles with new ones. They dug holes next to the existing foundations to pour new ones. There is a pole on a front corner of my lot by the side walk. The dog days of August seem to have gotten to wayne, JJG and wbache..........too hot to venture out of the neighborhood for a shot. Woohoo! Finally got a chance to get one in. 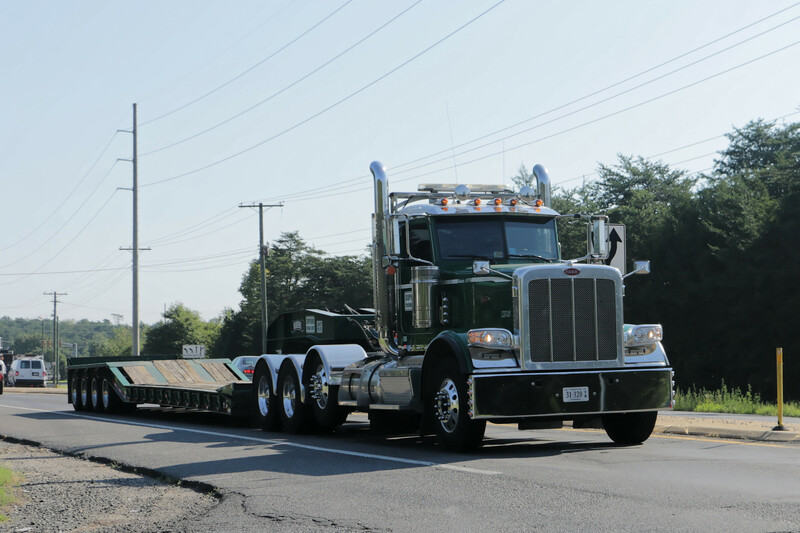 388 for Superior Paving Corp, a local asphalt company with multiple plants in NoVa.